Lao and The Death of Asian America? Over at the Hyphen blog, Chris Fan is taking Jean Quan to task for her handling of Occupy Oakland, but also taking it an extra step further and suggesting that the concept of Asian America itself may be dying. Quan was once a part of a body of progressive thinkers who really pushed to create ethnic studies programs. 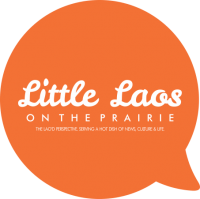 Programs many readers of Little Laos on the Prairie have seen direct benefits from over the years. There are many opportunities and policies that exist today because some brave people felt that honest discussions of the history and journeys of Asian Americans seriously had a place in American arts and letters, and also community-building policies and programs. That being said, there are also many who don’t recognize the short time such programs have really been possible, or the tremendous challenges the programs faced as we examined what could be as ‘Asian Americans’. In and out of the classrooms, we see the concept of Asian America taken for granted by some, while others enjoy the benefits but have no respect for the journey, even to the extreme response of trying to roll back the progress that has been made. There are a great many people who don’t appreciate that the very notion of ‘Asian America’ as a coherent body has often threatened to implode. It was never an inevitable given. When you have over 60 different communities in the US, some with long-standing historical enmities overseas and even domestically, being told they ought to organize under a pan-Asian banner, we forget how fragile that alliance, that notion of organizing as ‘Asian Americans’ really is. Afghanistan, Australia, Bangladesh, Bhutan, Brunei, Burma/Myanmar (the Shan and the Karen, among others), Cambodia, China, Cook Islands, Federated States of Micronesia, Federated States of Midway Islands, Fiji, French Polynesia, Guam, Hawaii’s, Hong Kong, India, Indonesia, Iran, Japan, Kazakhstan, Kiribati, Kyrgyzstan, Laos (Hmong, Lao, Tai Dam, Khmu, Iu Mien and over 82 different ethnicities who live there), Macau, Malaysia, Maldives, Marshall Islands, Mongolia, Nauru, Nepal, New Caledonia, New Zealand, North Korea, Northern Mariana Islands, Pakistan, Palau, Papua New Guinea, Philippines, Pitcairn Islands, Samoa, Singapore, Solomon Islands, South Korea, Sri Lanka, Tahiti, Taiwan, Tajikistan, Thailand, Tibet, Tonga, Turkmenistan, Tuvalu, Uzbekistan, Vanuatu, and Vietnam (including the recently arrived Montagnards (Rhade,Bahnar, Jarai, Koho and Mnong). And just like that, we’re supposed to aggregate together, certain that once we speak as one voice, no one will be under-represented, and we will somehow be a fully functioning federation that consistently comes to the support of the other in times of distress, and in times of opportunity? Whether it’s immigration reform, health care reform, workers rights, or subjects such as unexploded ordnance, Agent Orange, or human trafficking, etc. how does Asian America ensure we all find a way to come to a constructive consensus and support one another to the fullest potential our collective voice is supposed to have? I’m not saying it’s impossible, but I am saying it’s something that needs a lot more work over a lifetime than a catchy chant and a slogan. For Lao, as a community, we’re consistently excluded from serious discussions on issues facing our community both among policy makers and in academia. It does weigh on our minds, and we’re seeing an increasing number of panels and community discussions debating our future directions in light of this.Will we start bypassing systems that will continually exclude us, even those that are ostensibly there to help us effectively speak with a greater voice? If a system becomes irrelevant to our community, it won’t necessarily be the death of that system, but neither would it be one I’d be in any hurry to engage my friends and families in. For those of us who’ve worked on these issues over the decades, that’s a bold claim, perhaps even hyperbolic when we consider other movements taking place around us, such as the work of Asian Pacific Islanders in Philanthropy. I wouldn’t say we’re really even close to putting nails in any coffins, but I would always encourage Asian American activists to keep pushing more for genuine systems change, and ways to engage others in that vision constructively. There’s a big difference between being an Asian in America and being Asian American, and being a part of Asian America. As a community, Lao have to examine honestly the importance of engagement with these concepts. With a community of 200,000+ to 400,000+, depending on how you’re doing the counting, we have people counting on us that means we cannot afford to be aligned with movements who throw us under the bus and take us for granted. Next PostLao Minnesotans: Land of 10,000 Thanks?